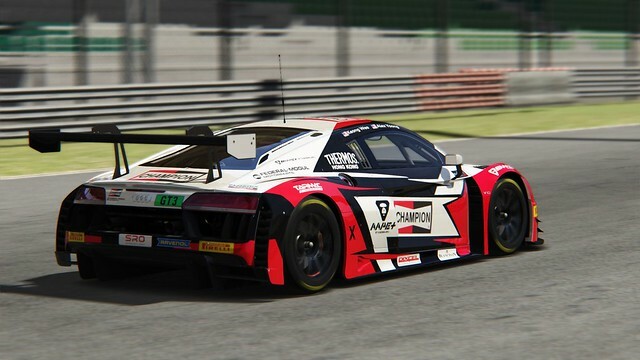 Yet another Audi R8 GT3 skin. 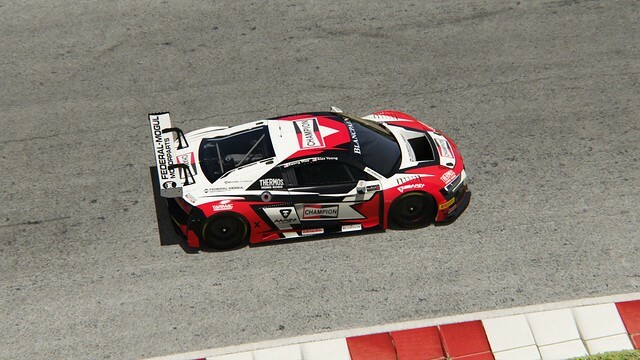 This one is based on a Blancpain GT Asia livery. This was the Phoenix Racing Asia entry at the Sepang race, with local hero Alex Yoong at the wheel with his fellow countryman Keong Wee. 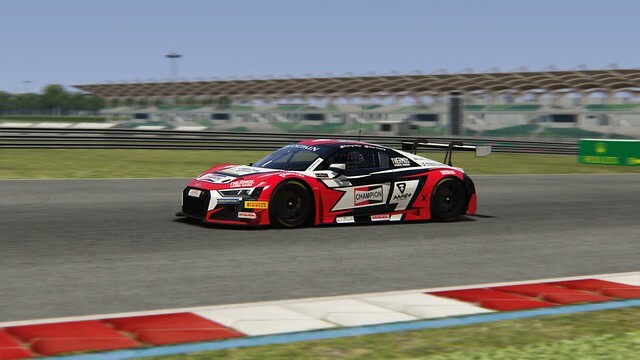 Yoong is an expert of both the car (he has won the R8 LMS Cup three times) and the track, but things did not go too well and the team only finished 8th.